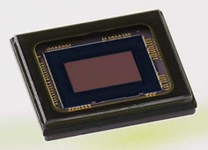 This CMOS image sensor is basically the lower-framerate "twin" of the IMX174. It delivers excellent image quality – comparable to the IMX174 – but at a lower frame rate. This image sensor’s excellent quantum efficiency, low temporal dark noise, and very high saturation capacity combine to deliver a fantastic dynamic range.